Great apps are even better when they’re on sale! 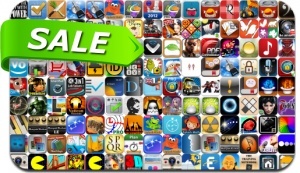 We’ve selected no less than 200 iPhone and iPad apps that are at least 25% off. This app deal alert includes Quell Reflect, Forever Lost: Episode 1, Autumn Dynasty, Venice Mystery, Pix'n Love Rush DX, Fieldrunners 2, Get Outta My Galaxy!, The 7th Guest: Infection, Carmageddon, Bridge Constructor and many others. Anytune Pro HQ – Music Practice Perfected.